Join Dr. Veatch to try out some interesting problems from the Putnam Exam that might seem hard, but work very nicely with the use of a little geometric symmetry. This talk will introduce you to a sampling of mathematicians from the seventeenth century who thought seriously about faith, including names you may have heard of like Pascal and Descartes, and others you may not have, like Fermat and Napier. We'll especially point out the intriguing Marin Mersenne, who knew many of these people personally and never gave up either his fascination with math or his battle against deists. In 1738 Daniel Bernoulli published an apparent paradox about games of chance that have unbounded rewards. This talk looks at ways of explaining this paradox that has developed over the years, and more generally explaining how people make decisions in the face of uncertainty. The story takes us through some infinite series, mathematical expectation, and utility theory. Join other mathematics and computer science students for a time of fellowship, worship, prayer, fun, reflection, and looking forward. As always, there will be worship and/or a brief message of reflection. GORDON COLLEGE, roughly 9:30 a.m.–3:30 p.m. Professor Dana Rowland from Merrimack College will give an invited talk. Each year, we have senior thesis presentations from students planning to graduate with honors in mathematics! MATH/CS COOKOUT AND VOLLEYBALL GAME—First social event! The Department of Mathematics and Computer Science has a long-standing tradition of hosting a welcome picnic for freshmen and returning students. Be ready to vie for the Math vs. CS volleyball crown! RSVP: TBD, but you must reply to get a ride (though you can also easily walk there). Take several odd numbers and find the square of each. Now look at the list you’ve made. You should see that there is an interesting property shared by the numbers on your list. Try to identify the property, then give an argument to show why the property holds. The country of Hungary is well-known for its rich mathematical heritage and unique approach to mathematics education. Join senior Julie Lee as she reports on her experience studying abroad at the new Budapest Semester in Mathematics Education program. She'll give us some sample problems about integers to solve too! Join other mathematics and computer science students for a time of fellowship, worship, prayer, fun, reflection, and looking forward. This semester we feature interviews with seniors about their summer internships at a real estate firm and with World Vision! One of the most mysterious figures of modern mathematics, Srivinasa Ramanujan came to amazing deep theorems far from the hubs of science one hundred years ago. Now the subject of a major motion picture, who was the man behind the math, what was the math behind the man? We have invited Professor Bradley from up the road at Merrimack College to help us learn more about him! Southern New Hampshire University, roughly 3–9 p.m. This is the big fall New England conference, with great invited talks, student team math competition, opportunities to share your own work, and a banquet. Typically the weekend before Thanksgiving. In 2015, Gordon hosted over 150 visitors for the conference right here in the Ken Olsen Science Center! This conference began with a fun team math competition between Salem State and Gordon and has blossomed into an annual local conference with student talks from all over Eastern New England, invited speakers, and more! Usually in April. The largest annual gathering of mathematicians in the world, the Joint Meetings has a wealth of talks from high-level research to student poster sessions, panels on pedagogy, and interactive art or the booths in the exhibit hall. Gordon annually has between three and eight representatives (including faculty, students, and alumni); many summer research students will present here. A highlight is the ACMS reception and dinner, which has a speaker relating a short talk connecting our faith with our mathematical passion. This conference began in the late 1970s with our own Dr. Stout as one of the first attendees. It is a biannual conference of Christian mathematicians and computer scientists, which now has criss-crossed North America, coming this summer at Illinois Wesleyan University, and before that in Charleston, South Carolina. Gordon hosted the conference in 1999, and we take students as often as they are available and the conference is in the Northeastern United States.  Gordon College's Math Forum is a bi-weekly gathering of mathematically-inclined people from all over campus. The format ranges from problem-solving to guest speakers from the industry, to special talks about interesting topics or people in mathematics. Math Forum has typically been on Tuesdays or Thursdays at noon or at 4:45 p.m.
Students, please let us know if there are other events or topics you would enjoy! To give you ideas, some Math Forum speakers and other events from the past are listed below. Summer Research Report (offered many times)—Wesley Nelson, Rachel Olugbemi, Jess Wild, Leah Miller, Luke Cui, Sunny Kim,... and many others!